House was open with keys in the door, fire lit if we wanted with a bottle of wine on the counter. We had a wonderful holiday. The owner was truly kind and welcoming. He spent a lot of time giving us information about the area and places to visit and experienced. We arrived in a warm house and cosy house with open fire. 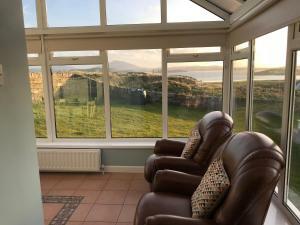 We had wonderful sea-views from the conservatory. We spent 8 nights after Christmas. We were offered a very generous goody bag for New Year with wine, prosecco, biscuits, chocolates, treats, etc and 2 extra night for free!! 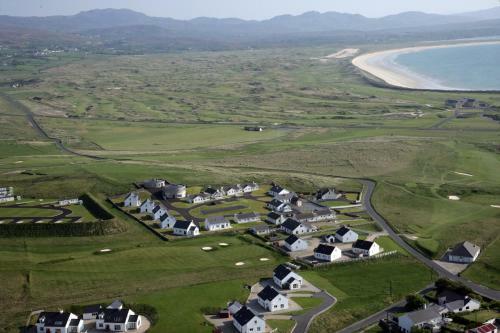 It's the ideal location to visit this part of North Donegal. 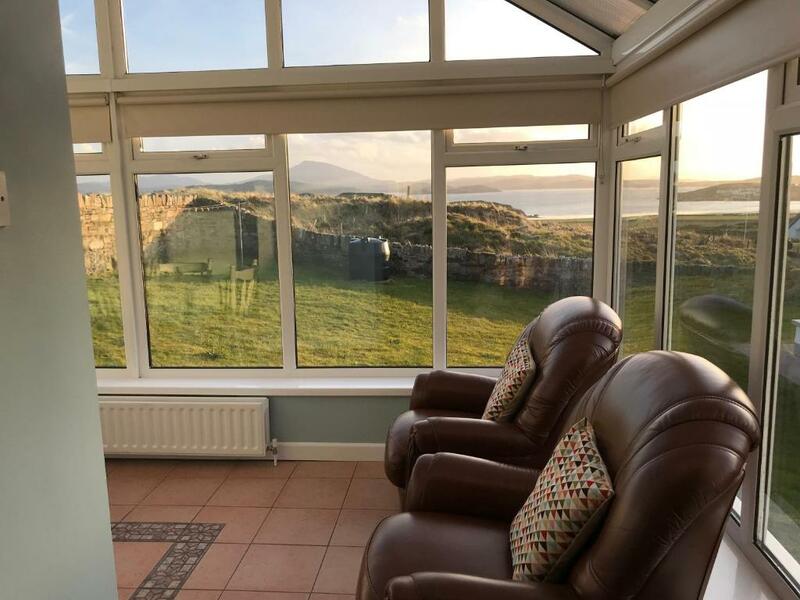 We also visited the Rosguill peninsula where the cottage is located, Horn Head, Dunfanaghy, Marble Hill beach, Fanad Peninsula and lighthouse, Ards Forest park, and many other beaches including our favourite: Tramore Beach, the longuest and most beautiful around north Donegal. 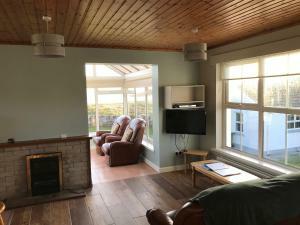 Comfortable, well equipped cottage with a magnificent view over Sheephaven Bay. Seamus was very friendly & helpful regarding places to go locally for walks & to eat. Loved that we were able to walk from our cottage to Downings beach. 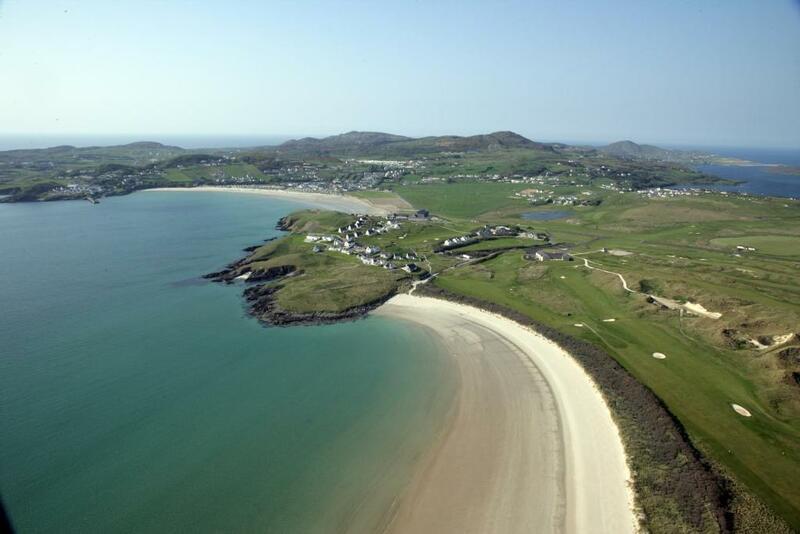 Perfectly located for visiting Tramore, Dunfanaghy & Portsalon beaches which are all worth a visit! Great family break..we’ll definitely be back & would highly recommend. The host was excellent and was very friendly with loads of information about the local area. We really enjoyed our stay and being able to have our dog with us was a great bonus. The beaches and scenery were awesome. The simple and effective way to bring people back.Great host in Seamus .Clean value accommodation. I loved staying in the tower. There was loads of room and it was very clean with all the facilities you need. 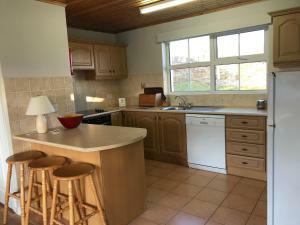 Friendly efficient service in a tranquil relaxing picturesque setting. Everything house view and location were great staff were wonderful friendly and very helpful. The views from the cottage were great and the kids had a lovely time meeting others and playing on the tennis court. Plenty of room for our dogs too. Inside the cottage was great clean and comfortable with everything you would need.. Seamus nd Verify were very nice and helpful..Plenty in the area to do and lots of eating places about..
Lovely quiet location but still handy to village, 20 min walk. Welcoming host made us feel at home. House was clean and well maintained. 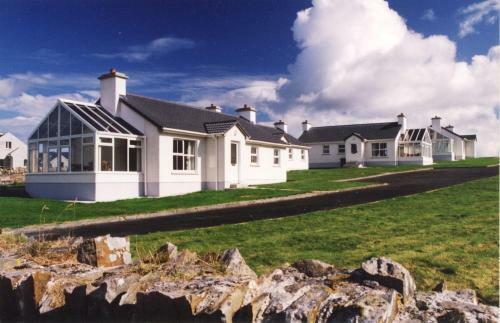 Lock in a great price for Downings Coastguard Cottages - Type A - rated 9.3 by recent guests. Located in Downings in the Donegal County region, Downings Coastguard Cottages - Type A is a group of holiday homes featuring free WiFi access and complimentary private parking on site. The holiday homes come with a flat-screen TV with DVD and a fully equipped kitchen that provides guests with a dishwasher and an oven. The holiday home also has a seating area and a bathroom. Some of the cottages have sea views. Cycling, horse riding, links golf and diving can be enjoyed nearby. Guests enjoy preferential fees at the Rosapenna Golf Resort when booking the activity at the property. There is also a leisure centre with a swimming pool and indoor play area for children close by. Shops, bars and restaurants are only a 5 minutes drive away. 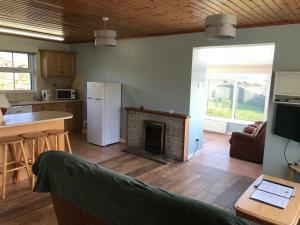 Downings Coastguard Cottages - Type A has been welcoming Booking.com guests since 12 Jul 2017. When would you like to stay at Downings Coastguard Cottages - Type A? House rules Downings Coastguard Cottages - Type A takes special requests - add in the next step! Please note that this property operates a strict no smoking policy. A penalty fee of EUR 250 will be charged to guests who smoke in the property. Pets are only allowed by prior arrangement on booking form or via email up to 48 hours before arrival. Please note that an extra charge of EUR 30 per stay may apply. Clean and well equipped. Accepted our small dog. Great view of Downings area. Previously stayed in Type B properties which were great. Unfortunaterly the Type A house had a damp smell on entering and was extremely cold and difficult to heat in particular the sun room. Electricity and oil costs were very expensive. We were impressed by the high standard throughout the property. Every room was comfortable and the supplied linen was hotel quality. The concierge was incredibly helpful, friendly and accommodating. 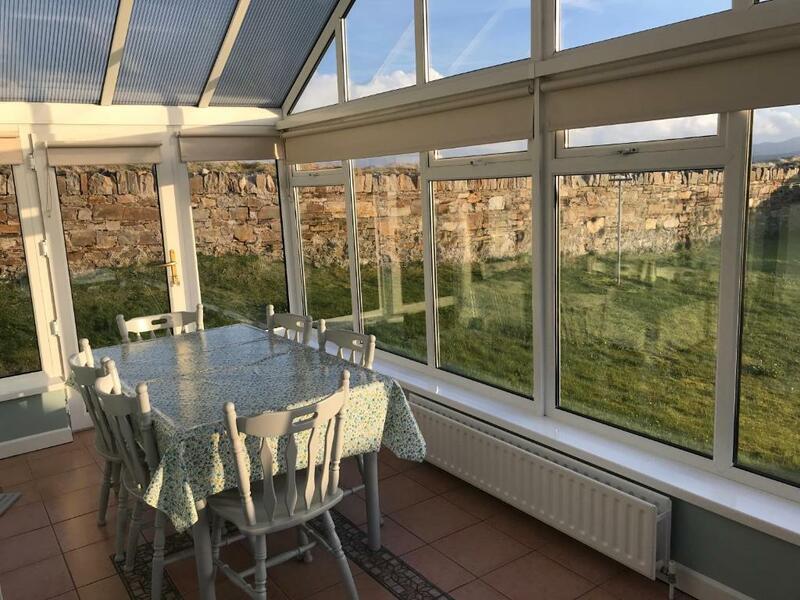 We were thrilled to bits with this rental with its superb views, and our dogs had a ball! Lovely views and great location. I cannot think of anything negative to say about our stay. Additional cost of heating and electricity. Not calculated until we left and could not gauge how much it would cost.